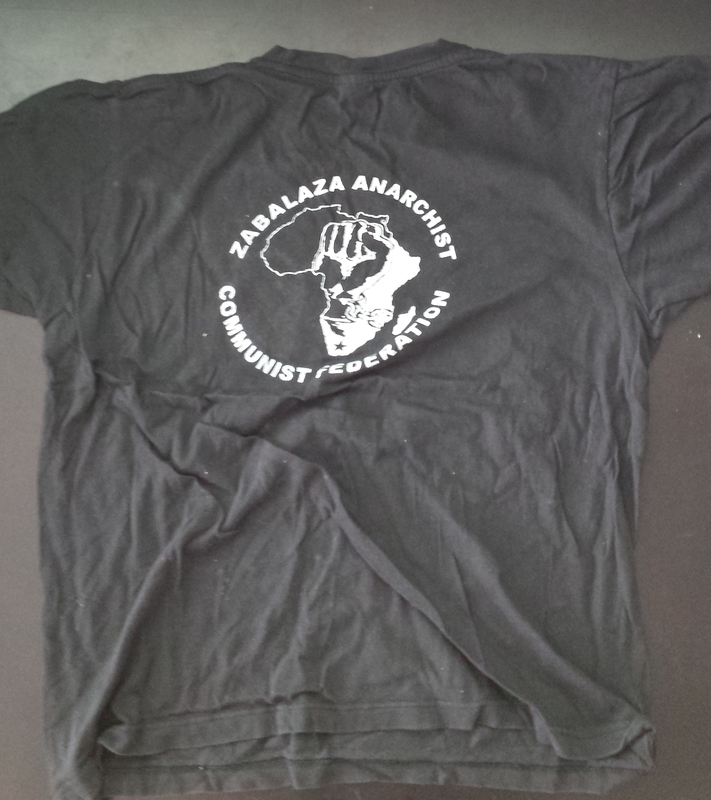 Early T-shirt from the Anti-Privatisation Forum (APF), of which the Bikisha Media Collective (BMC), and then the Zabalaza Anarchist Communist Federation (later “Front”, the ZACF) were affiliates. 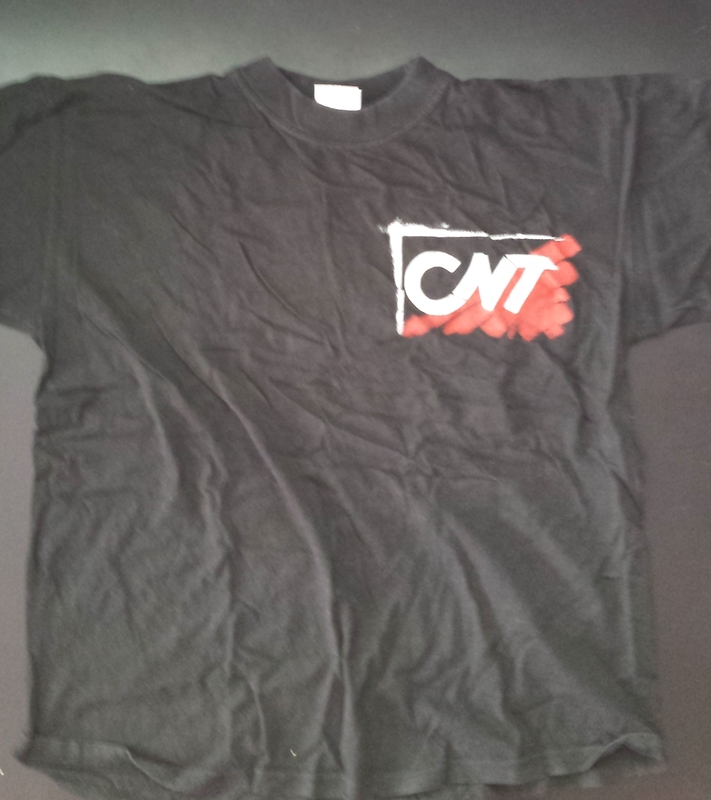 BMC members, active in the campaign against “Wits 2001” restructuring at the University of the Witwatersrand (Wits) in 1999/2000, can be considered among the founding members of the APF, as they were part of the Wits 2001 Crisis Committee and NEHAWU, which joined other formations to establish the APF in mid-2000. 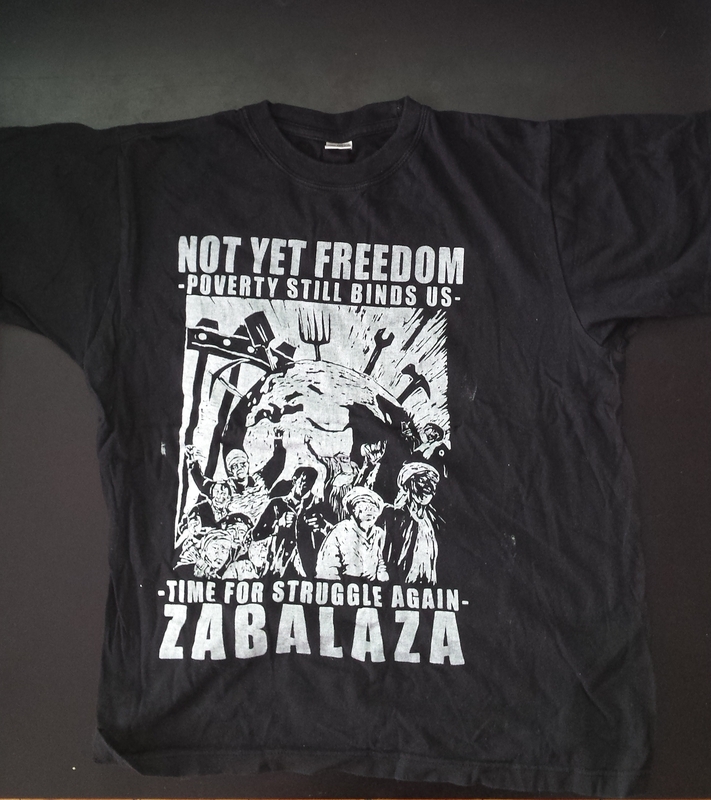 BMC subsequently affiliated formally, and when BMC merged with other anarchist formations to form the ZACF, ZACF continued as an APF affiliate. 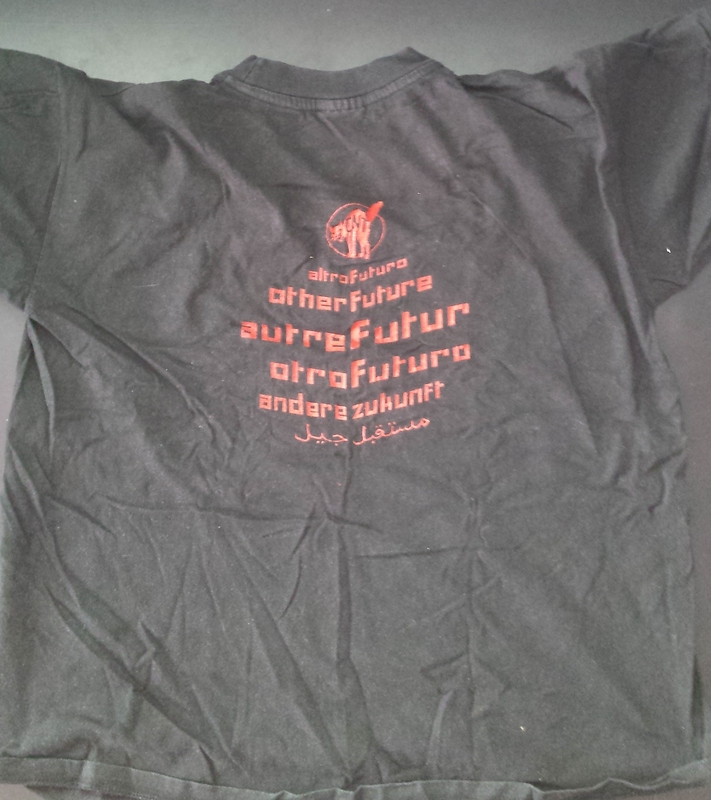 A BMC / ZACF member was one of the two initial APF media officers. 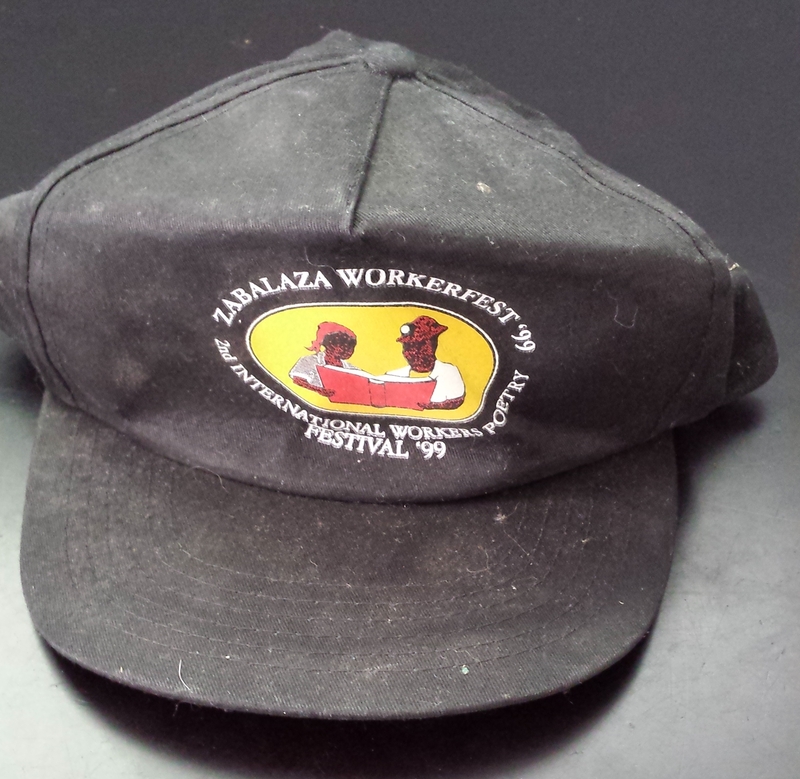 ZACF participation in the APF tapered off in the late 2000s. 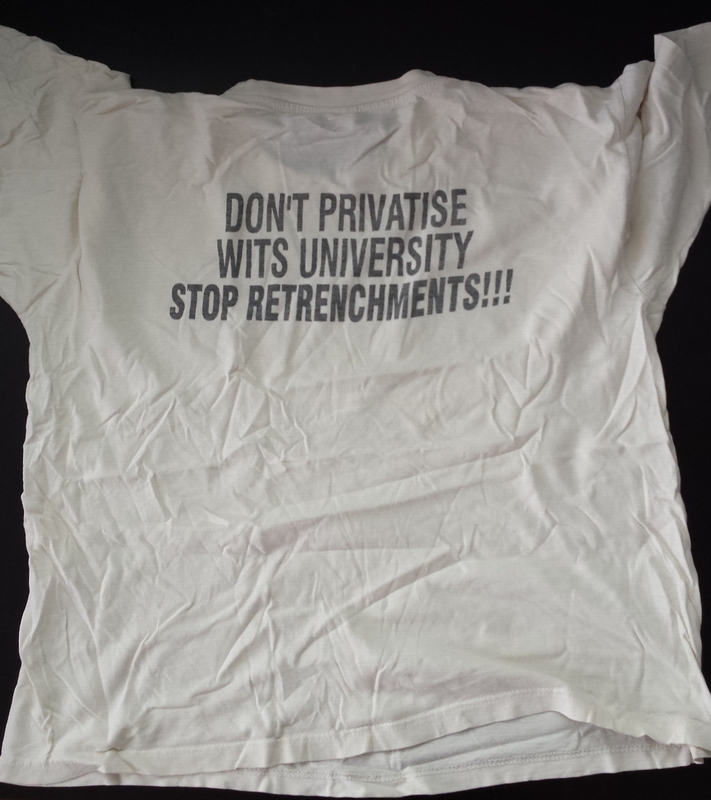 T-shirt from campaign against neo-liberal “Wits 2001” restructuring at the University of the Witwatersrand (Wits) in 1999 and 2000. 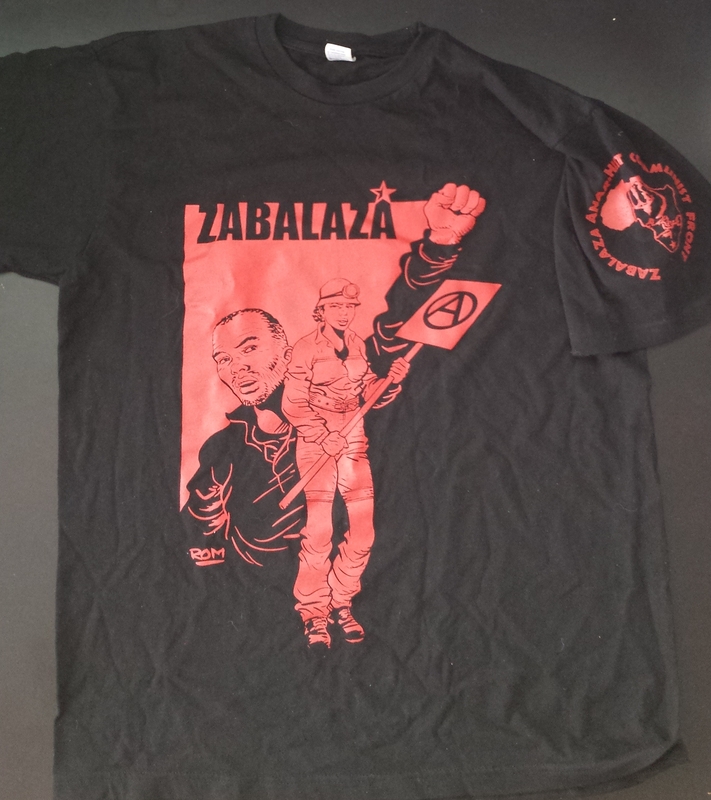 T-shirts were sponsored by the National Health, Education and Allied Workers Union (NEHAWU), an affiliate of the Congress of South African Trade Unions (COSATU) (the front of the shirt has the NEHAWU logo). 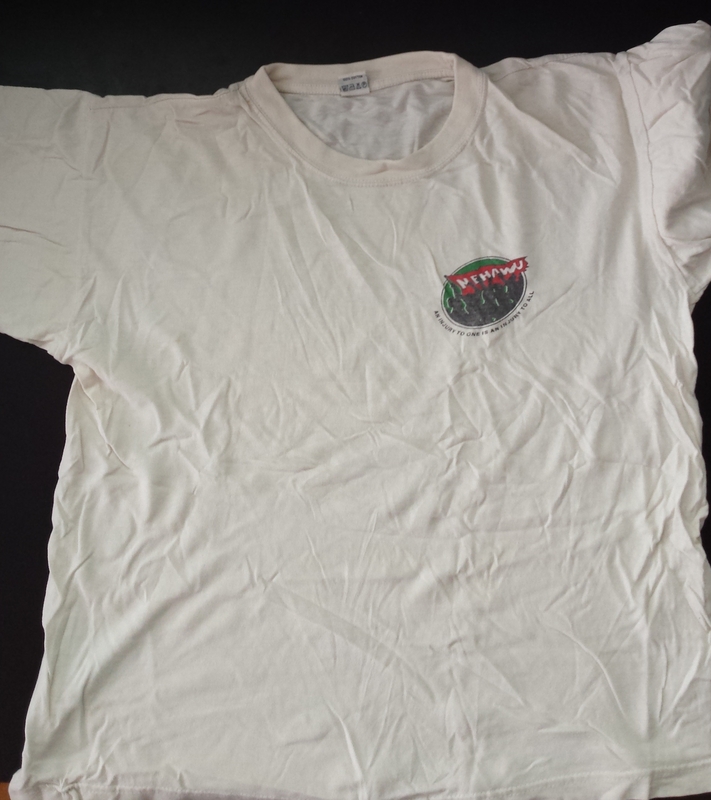 NEHAWU was the main support service workers’ union on campus, perhaps 600 strong at Wits at the time, with a proud struggle history. 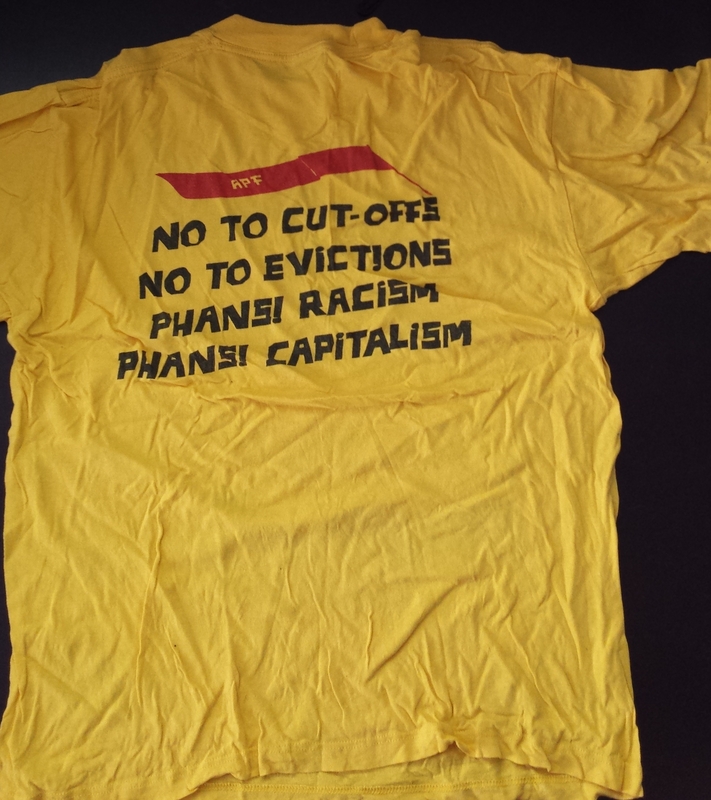 Anarchists linked to the Bikisha Media Collective (BMC) were involved in the campaign — especially against the outsourcing of service workers, who were mainly NEHAWU members. 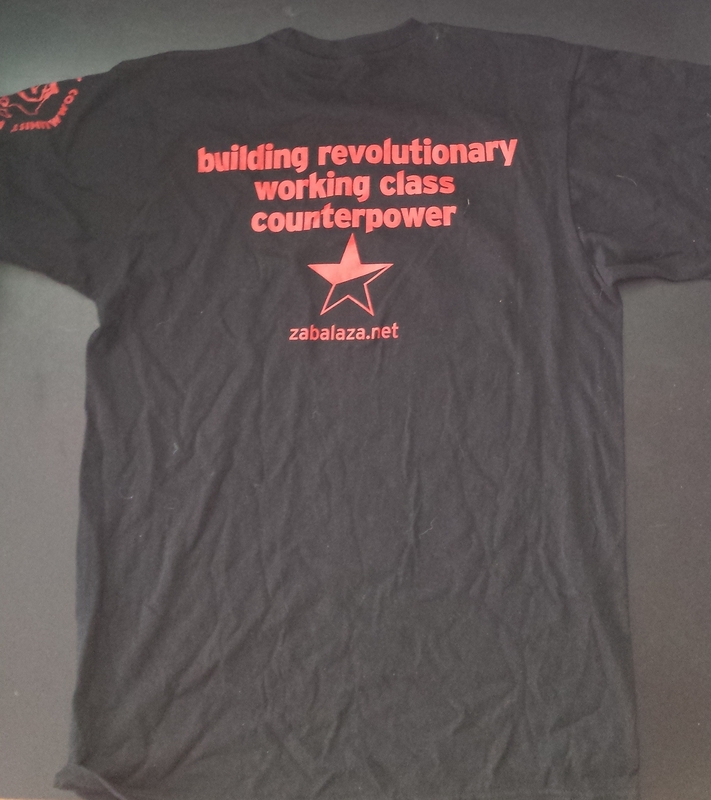 Participation by anarchists was through the Wits 2001 Crisis Committee, NEHAWU, and the Lesedi Socialist Study Circle. 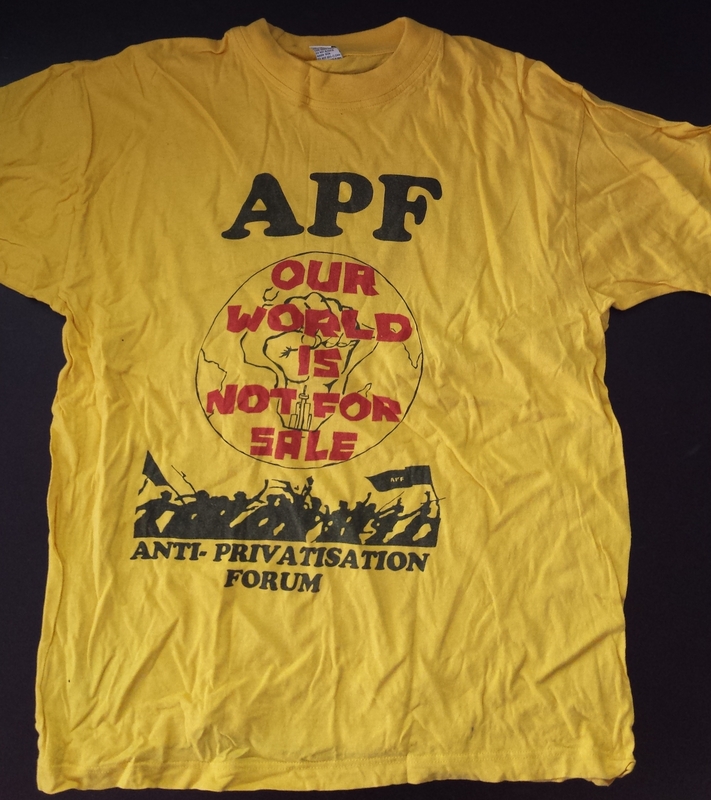 The Wits Crisis Committee later merged (mid-2000) with other bodies to form the Anti-Privatisation Forum (APF), of which the BMC, and then the Zabalaza Anarchist Communist Federation (later “Front”, the ZACF) were affiliates.